FortisBC said Enbridge was been given permission to start up one of two pipelines shut down, but are still asking customers to reduce their natural gas use. Puget Sound Energy and Cascade Natural Gas, both U.S. energy companies, are also asking customers in Washington state to help conserve natural gas and electricity because of B.C. 's pipeline rupture and the impact it has on the U.S. gas supply. 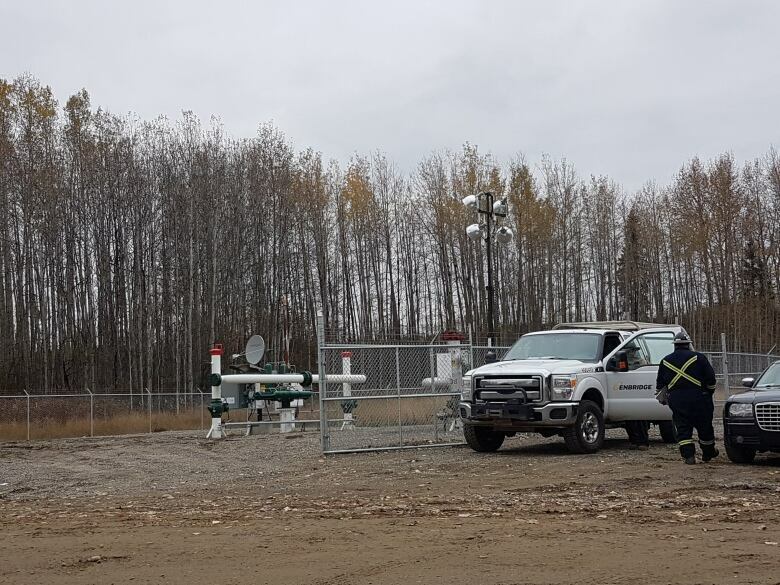 "We still need more customers to reduce their natural gas usage as much as possible for now, as we continue to work with Enbridge and confirm the impact on the system," it read in part. "We recognize that in some parts of B.C. it may be impractical to turn off thermostats due to cold weather. Even turning the temperature down as much as possible and reducing hot water use and other natural gas usage will help." Although the fire on the pipeline has been extinguished, two Enbridge pipelines were shut off: the ruptured pipe and another one that's to be assessed for damage. Late Wednesday night, FortisBC said Enbridge was given NEB approval to restart the pipeline that was not damaged by the explosion. However, they said customers should still expect a constrained supply of natural gas. "About 70 per cent of customers could be impacted here," said Douglas Stout, vice-president of external relations with FortisBC. The company serves just over a million customers across the province, from the Lower Mainland to Northern B.C. Combined, the two pipes supply 85 per cent of all natural gas used provincewide. "Anybody who consumes natural gas, we're asking you to cut back to as little as possible and help us work through this situation to everybody's benefit," Stout said. "Turn your thermostats down as low as possible, obviously that depends on the region you're in what you can do, minimize the use of hot water if you've got a gas water heater, turn off your fireplace." 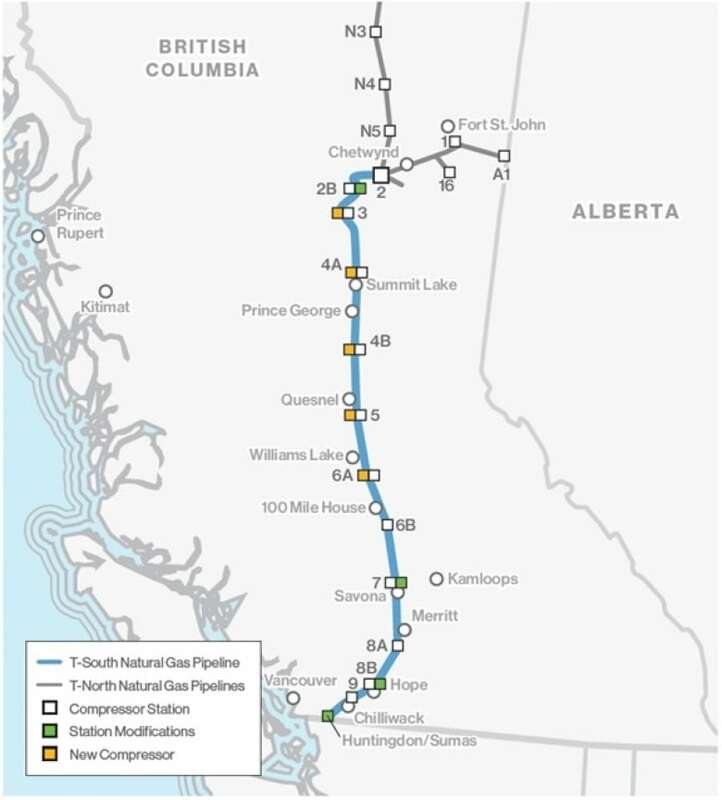 The pipeline is part of the T-South system, stretching over 1,000 kilometres from Chetwynd, B.C., to the U.S. border, which is why it impacts gas distribution across the province and into Washington. FortisBC has also asked industrial customers to use alternative fuel sources. Stout said that those who have the ability to do so have switched off their natural gas use for now. Canfor, a pulp mill in Prince George, has shut down two of its sawmills due to a lack of gas. 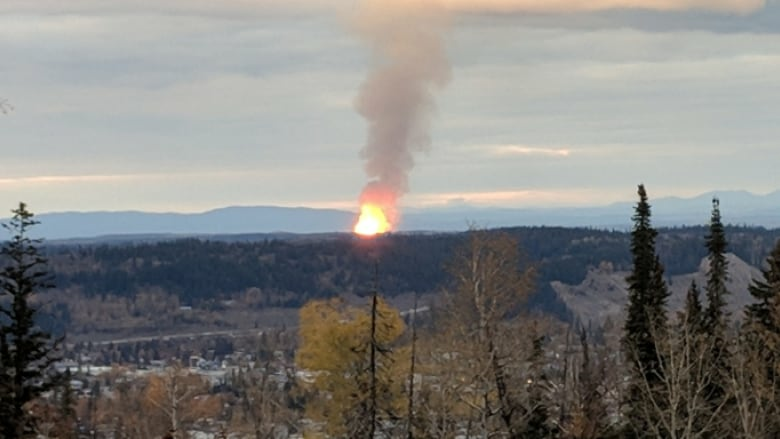 The line ruptured on Lheidli T'enneh reserve land and witnesses who saw the explosion described it as an incandescent orange fireball that could be seen for kilometres. He wants answers but says he doesn't expect his nation's relationship with the company to change as a result. "We're not going to move away because of one explosion," Frederick said. "We've lived there for most of our lives, since the pipelines were built, and we never had any concerns with the pipeline until now." The Transportation Safety Board is responsible for the investigation into the incident and the National Energy Board has sent four specialists to the scene. The B.C. Oil and Gas Commission and the B.C. Ministry of Environment, among others, are also looking into the incident. "A cause will be determined following an investigation of this event," said Enbridge spokesperson Michael Barnes. .
"Safety is always our top focus and top priority." The company is working with nearby communities to maintain public safety, he said, but he cannot speculate about how long it will take to resolve the situation. <a href="https://twitter.com/hashtag/NEB?src=hash&amp;ref_src=twsrc%5Etfw">#NEB</a> inspectors have been deployed to the area to monitor and oversee the company’s response and to determine the impact and extent of the release. No injuries have been reported. More information to be provided as available. "The most significant impact right now is what we are doing in terms of precautions," said B.C. Minister of Energy Michelle Mungall. "We don't know what caused this explosion yet but once we do know, no doubt there will be some lessons to be learned and we will be implementing those as regulators." With files from Yvette Brend, Andrew Kurjata and The Early Edition.